I initially put that I would discuss Dead Like Me today (and I will a little) but how could I overlook another Joss Whedon classic – Dollhouse – which was given two measly seasons (2009-2010). The main character in this is the ‘doll’ Echo played by Eliza Dushku (Faith from Buffy and Angel). The basic premise of the show is that dolls or ‘Actives’ are people who have had their minds and memories wiped so that they can be imprinted with new personalities and skills to become people for hire, girlfriends, assassins, etc. In their wiped state they are very docile and childlike. Echo becomes Esther a blind woman who joins a freaky religious cult as a true believer – but do the people wanting to shut down the cult have honest intentions? I’m sure there is an episode similar to this in Criminal Minds. The Dollhouse need to vet their customers better because Echo’s camping trip turns sinister. Boyd her handler comes to the rescuer – we like him. This week Echo plays a kidnap negotiator whose imprint happens to have a traumatic past that threatens the negotiations. Inconveniently Echo’s imprint gets wiped when she is trapped in a safe waiting for the authorities to arrive. Her childlike state doesn’t get the job done. Victor has served his time in the Dollhouse and is released back to his old life. His relationship with Sierra, amongst other complicated factors means that the transition back to real life isn’t smooth. I watched this series ages ago so I can’t remember it well enough to pick out specific episodes but the stand out image is that the girl is killed by a toilet seat from space!! It also has Mandy Patinkin in it and I had a bit of a thing for Callum Blue at the time. Sadly this only got two seasons (2003-2004). Poor Georgia ends up becoming a grim reaper with the job of seeing others’ souls through to the afterlife as well as having to have a regular job – rude. I also remember the fact that she still is so close to her family is tough on her. Deserves a rewatch at some point. Any D’s that I missed – @GentleChaos on twitter pointed out Dark Angel which I do own but have never watched? What did you think of the two futuristic season finales of Dollhouse? 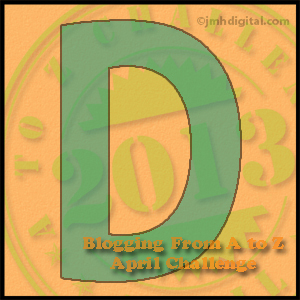 Posted on April 4, 2013, in April A-Z Challenge, Film and TV Reviews and tagged A-Z 2013, Dead Like Me, Dollhouse, Joss Whedon. Bookmark the permalink. 8 Comments. Oh Crikey Colin – I did didn’t I!! I love Doctor Who too. Looking forward to the anniversary episode later in the year. I liked Dollhouse when it was on, I don’t remember it lasting very long though, only a couple of seasons. Then again, I like Eliza Dushku. My wife and I stumbled on Dead Like Me on Netflix while looking for something to watch. We had actually never heard of it but we ended up watching them all. It wasn’t great, but it wasn’t bad either. Her getting killed by a toilet hooked me though, you can’t go wrong with that kind of humor. See using the liking the actress excuse – you are learning. 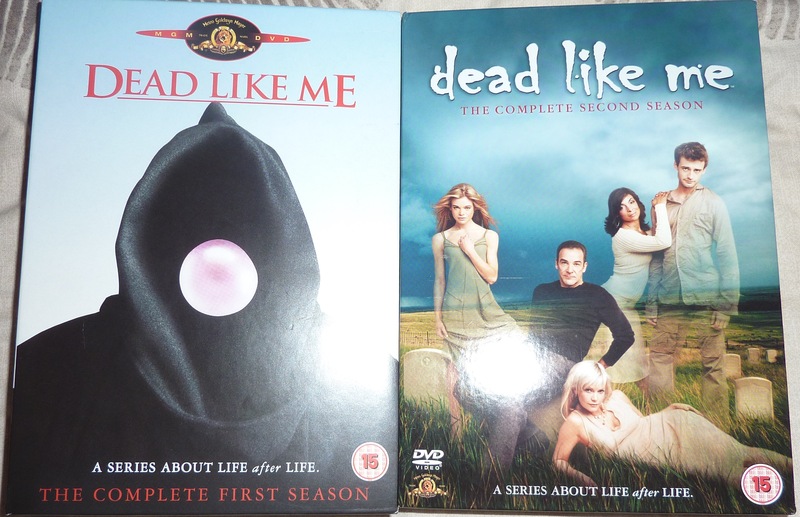 I agree with you about Dead Like Me – would like to watch it again – sometimes you can get things more on later viewings because you go in with less expectations. Wow – two links in the same day – thanks. Thanks for the link – I didn’t even realise you could do this – will have to investigate now.